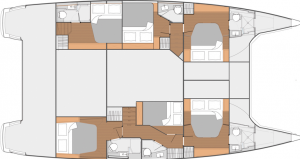 In our 6-cabin version, one hull has extra space for the luxurious master suite with attached head, plus another two cabins forward. 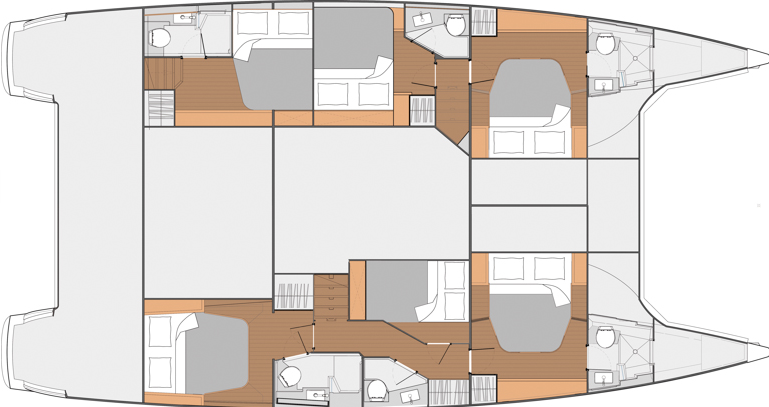 The other hull accommodates three double cabins, each with its own head and all the comforts needed for a relaxing cruise. 6% Port and Marina Fee added to all services.